Choosing a cancer center could be the most important decision of your life. At the John and Dorothy Morgan Cancer Center at Lehigh Valley Hospital–Cedar Crest in Allentown, Pa., and the Cancer Center at Lehigh Valley Hospital–Muhlenberg in Bethlehem, Lehigh Valley Health Network offers a level of care you won't find anywhere else in the region. As the area's only National Cancer Institute-selected cancer center (2010-2014), we can provide you with greater access to the latest oncology clinical trials and research-based treatments. We also partner with the H. Lee Moffitt Cancer Center and Research Institute in Tampa, Fla., and the Wistar Institute in Philadelphia, which further increases access to breakthrough clinical research. All of this, along with our dedicated cancer specialists, means hope and options for cancer patients and their families. Surgery is the only treatment known to cure pancreatic cancer, which is why having access to a surgeon highly experienced in advanced abdominal cancers is so critical. 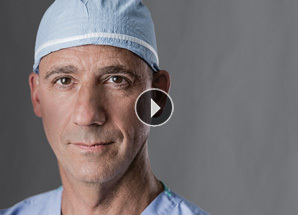 Surgical oncologist Jeffrey Brodsky, MD, has performed more than 100 pancreatic and liver surgeries this year. Completing at least 20 pancreatic or liver resections annually is considered "high volume." LVHN completes these major surgeries in less time, with a lower rate of blood transfusions or complications, shorter hospital stays and fewer transfers to intensive care than its competitors, according to studies by surgical journals. To learn more about pancreatic and liver cancer surgery, call 888-402-LVHN to find a surgeon. Our hematology oncology practice, LVPG Hematology Oncology, is certified by the American Society of Clinical Oncology as a Quality Oncology Practice Initiative (QOPI) practice – a measure of excellence for cancer care. Only 98 such practices are certified nationally, and LVPG Hematology Oncology is the only certified practice in the region. We use PET-CT precise diagnostic testing for more accurate treatment. This technology provides critical information after a single, quick exam to help your physician diagnose cancer, determine an effective treatment plan and monitor its success. Our leading-edge 64-slice CT scanner provides unparalleled three-dimensional images of your body. Our department of radiation oncology consists of highly skilled staff performing consultation, CT simulation and treatment planning, external beam radiation treatment including 3-D conformal and IMRT (intensity- modulated radiation therapy), enhanced treatment planning (field in field and enhanced dynamic wedge), IGRT (image-guided radiation therapy), CBCT (cone beam CT), Rapid Arc, respiratory gating, stereotactic radiosurgery, brachytherapy (low-dose, high-dose rate, removable as well as permanent implants including prostate seed implants), Gamma Knife, Sir Sphere, Bexxar, Mammosite, SBRT (stereotactic body radiotherapy), pediatrics, on-treatment evaluation and follow-up visits. We use advanced linear accelerators such as Varian Trilogy and True Beam to provide radiation therapy. Our linear accelerators target radiation in a highly focused beam, destroying cancer cells while sparing the surrounding normal tissue. See a complete list of our cancer center's awards. We have a caring support team that includes financial counselors, social workers and others who will be present for you throughout your cancer journey.